Posted on Tuesday, May 13th, 2014 at 11:16 am. WOW the 6th BlogPaws Conference was a smashing success. 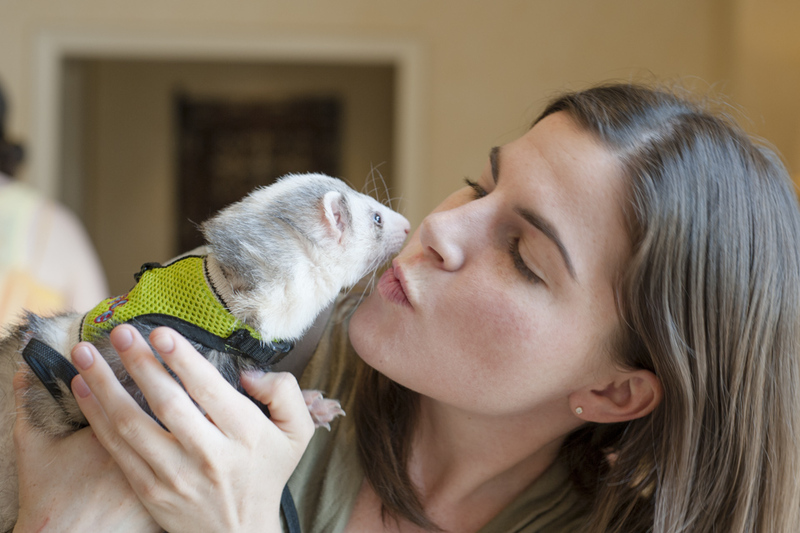 Here’s a snapshot of Snotface Ferret and mom, Stephanie, at the conference. Don’t fur-get that April 30th, is the final day for the Small Pets Photo Contest. You can win prizes for your small pet, so get those photos in!